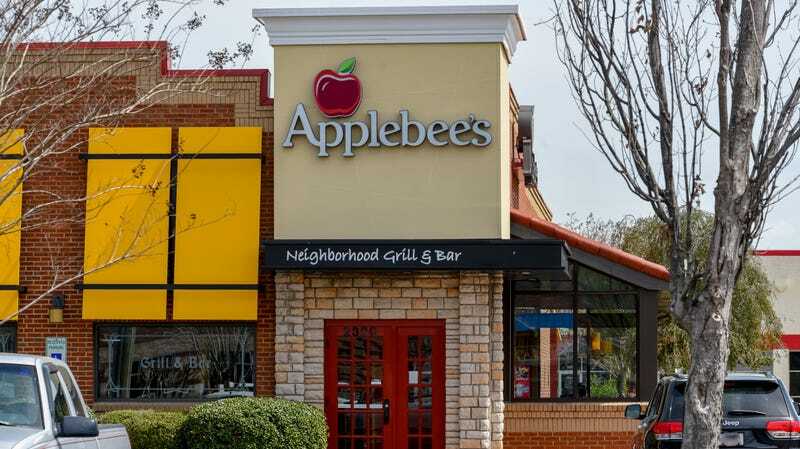 Yet the casual eatery isn’t giving up on trying to reclaim the hearts and wallets of diners, especially those who might be suspicious about the notion of Applebee’s staples like $5 steak. After all, if there’s one thing the American Millennial does love, it’s cheap booze, and Applebee’s has been a foremost pioneer in that particular field for some time now. ﻿Sippin’ on a STRAWBERRY DOLLARITA through a strawberry-flavored TWIZZLERS straw is just about the coolest and most exciting way to drink a margarita. No question about it. No matter where you land on the great Twizzlers-Red Vines debate (or whether you even enjoy licorice at all), we can all agree that the act of drinking sugar through slightly harder sugar with one’s Squad is objectively pretty cool. While everyone’s getting really worked up about straws these days, Applebee’s has the Galaxy Brain to realize that if it’s going to save itself, Squads looking for a night out on the strip mall parking lot are the real way to go.